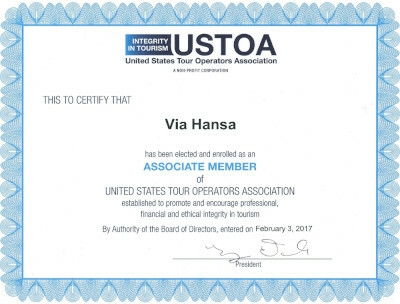 Via Hansa has recently been elected and enrolled as an associate member of United States Tour Operators Association (USTOA). It is a professional, voluntary trade association created with the primary purpose of promoting integrity within the tour operator industry. Today, USTOA active members represent some of the top names in travel and tourism and account for a sizeable portion of the tour operator market in North America. Last but not least, USTOA's highly active government affairs committee has tirelessly championed a policy of open borders. The committee has worked successfully with the Department of Transportation (DOT), U.S. State Department and other government entities to facilitate tourism worldwide. Via Hansa is proud to be recognized by USTOA as a trustworthy member and to be a part of this association. 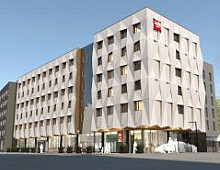 We are looking forward to continue to work in the US market and to promote our destinations and high quality services. For more information about our services for the North American Market, please contact our New York-based US sales representative, Mrs. Krista Altok Tassa.